others are saying about Mullins. 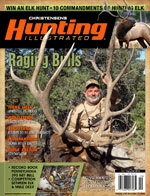 Here are some Magazines where Mullins Outfitters has been recognized. Either for photography or for outstanding Guide Service.